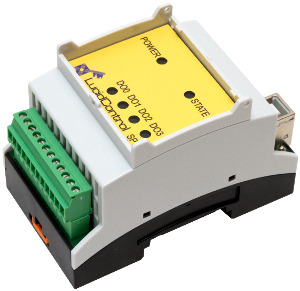 The LucidControl USB IO Module Product family is a versatile solution for analog and digital data acquisition and control. The USB RTD Input Module can measure measure the temperatures of 4 or 8 Pt100 / Pt1000 sensor elements. A typical application of the USB RTD module is a USB temperature logger. The RI4/RI8 USB RTD Input Module is able to measure temperatures of ±180°C or 0-360°C with a resolution of 0.1°C and a typical accuracy of ±0.5°C over the entire measurement range. The temperature measurement device measures the resistance of a Pt100 / Pt1000 RTD by performing a two-wire measurement. This it is used by standard method in order to determine a resistance by using two probes. Compared to three-wire or four-wire measurement, the principle of the LucidControl RI4/RI8 USB RTD Input Module does disregard errors on the connection cables of the sensor element. This method is a good compromise between cost and accuracy and allows the connection of standard Pt100/Pt1000 elements. The picture on the left hand side shows the typical connection of a Pt100 / Pt1000 element. The RI4/RI8 USB temperature measurement device processes the 4/8 sensor elements subsequently. 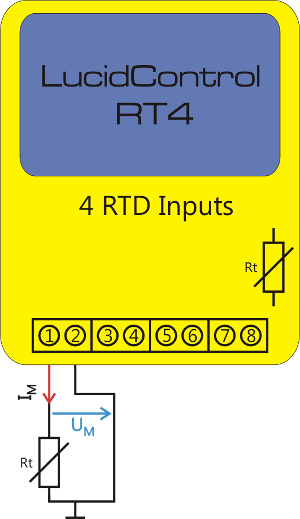 The activated element is sourced with a constant current IM which flows through the RTD Rt. This constant current causes a voltage UM across the RTD Rt. The voltage is proportional to the resistance and (nearly) proportional to the environment temperature of the Pt100 / Pt1000 RTD. This voltage is amplified and measured with a resolution of 14 bits. As a result the value of the resistance is calculated. If the measured resistance it outside of defined limits, the USB temperature measurement modules detect if a sensor element is working properly of e.g. if the connection cable has a short circuit or the cable is broken. For further questions about the USB RTD temperature measurement device or any other module of the LucidControl Product Series, feel free to contact us. 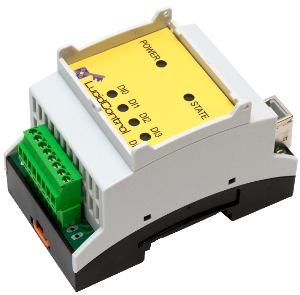 The LucidControl RTD Input USB Temperature Measurement Module captures the resistances of up to 8 standard Pt100 / Pt1000 temperature sensors and calculates the resulting temperature. The USB RTD Input Module acquires the resistance of the RTD by sourcing a constant current. 2-wire connection is used for each sensor. It combines high accuracy of 0.5 °C with a wide temperature range of ±180°C or 0-360°C. 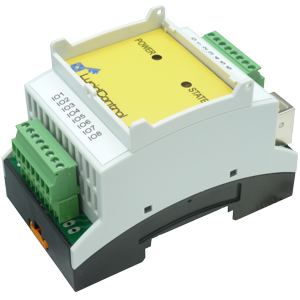 The LucidControl RI4/RI8 is ideally suited for industrial and home automation applications where temperatures are measured, processed or monitored. In combination with other devices of the LucidControl USB IO module series, the RI4/RI8 is able to control energy management systems as they are used in central heatings. Together with the DO4 module it can control the power of a heating plate in order to ensure constant temperature. The housing of LucidControl can be directly mounted on DIN-rails ready for switch board assembly. 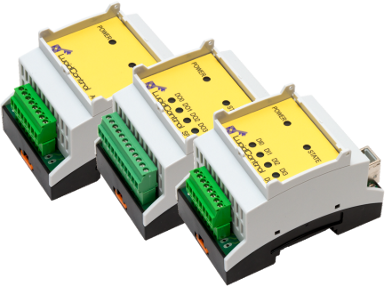 Using industrial standard IO connectors ensures reliable interconnection. LucidControl provides drivers for all major operating systems. Command line tools and APIs for Windows and Linux are available. API is available for .NET, Java and Python.